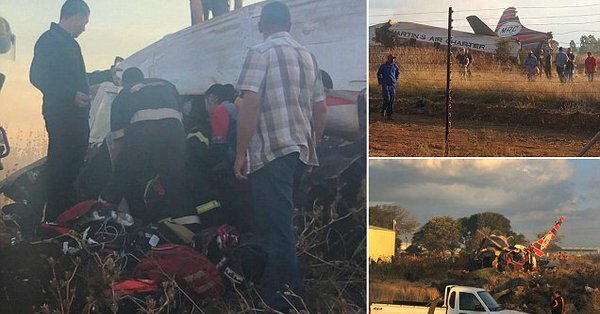 Emergency services confirmed that a vintage plane crashed on Tuesday in a grassy area of the South African capital Pretoria leaving one person killed and 20 people injured. The plane took off on a test flight from a small airport. It came down on rough ground about five kilometers east of the airport, hitting a small factory building in the process. The plane involved is a vintage Convair one, built in 1954 in the US with a 44-passenger capacity. It was due to be flown soon to the Aviodrome air museum in the Netherlands from Wonderbloom airport in Pretoria. It is not yet clear if the pilot is in critical condition or is the lone casualty in the crash. There is a reported fatality in the cockpit, but officials have yet to confirm if it’s the pilot or the engineer. Responding paramedics helped survivors to get out of the aircraft. They also treated patients at the scene while firefighters worked on the smoking wreckage. The injuries sustained by the 20 passengers affected by the crash range from minor to critical ones. Photos taken from the site of the crash showed the plane broken into several pieces. Aviodrome’s website says it cost nearly US$410,000 to make the plane “’flight ready”’ and buy parts in anticipation of the planned European trip. South African Civil Aviation Authority spokesman Kabelo Ledwaba said its investigators were dispatched to the scene, and that they would soon issue a statement on the incident. A test flight with 20 passengers seems out of normal operating procedures at least here in the US. Sounds like more of a trip to the museum guised as a test flight. What I see is 20 victims that just wanted a chance to fly in an early example of commercial flight in S Africa of all places.